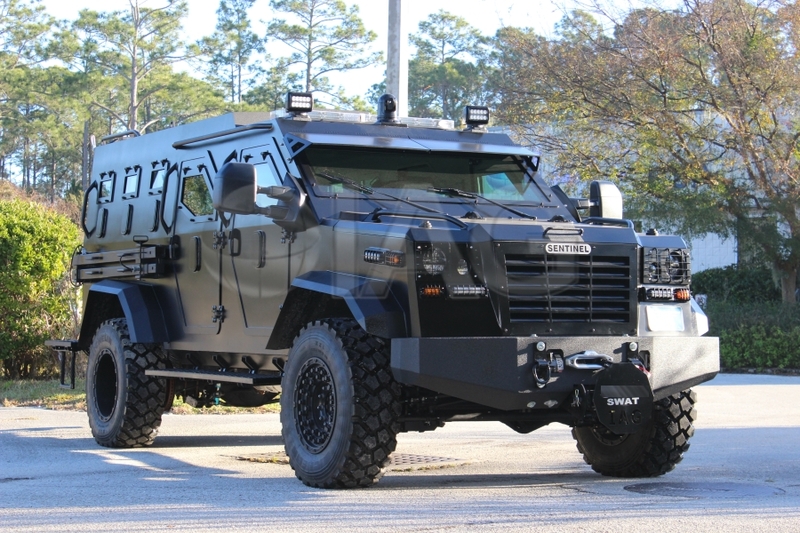 The all new IAG Sentinel ARV is an armored rescue vehicle re-designed specifically for tactical response teams, with added interior space and overall functionality in the event of a rapid deployment. 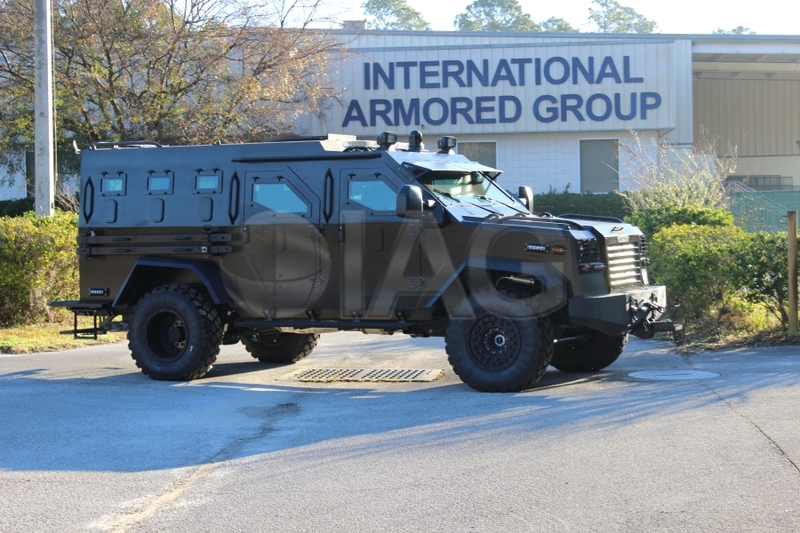 Standard vehicle armoring is available in NIJ III/CEN B6, .50 cal and NIJ IV/CEN B7 that is rated to withstand multiple impacts from armor piercing 7.62x51mm rifle ammunition. 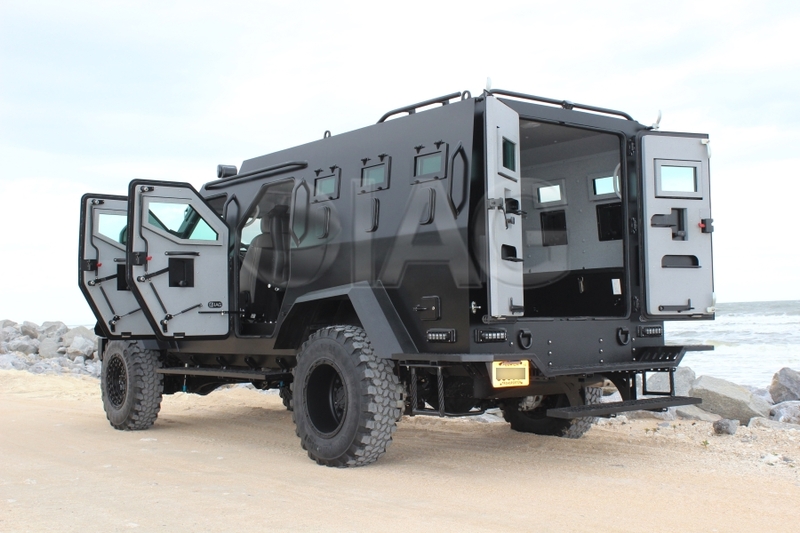 The armoring system on the Sentinel Armored Rescue Vehicle protects the entire cabin with blast protection underneath the vehicle. 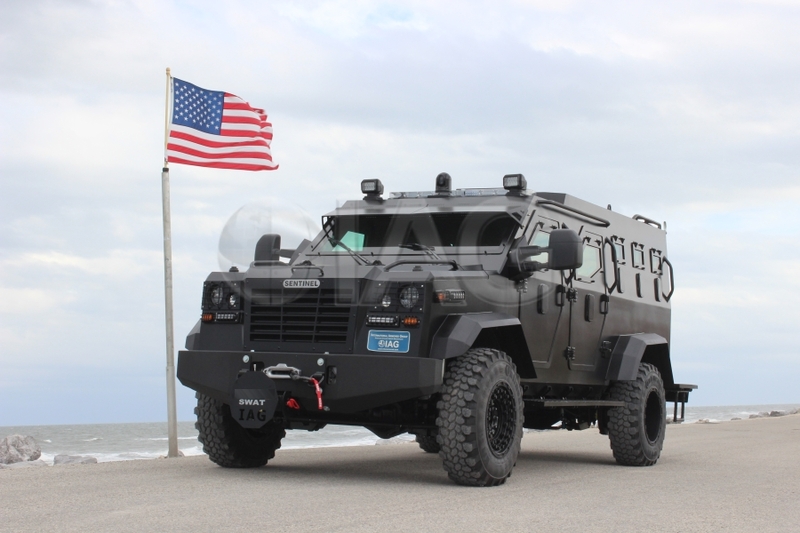 The engine bay and fuel tank are also armored to prevent the vehicle from being disabled from ballistic threats or shrapnel. An optional turret system can be integrated to work in conjunction with the armored roof escape hatch. High payload wheels and tire package features an integrated run-flat and bead lock system to prevent the tires from dismounting from the wheel, as well as enables the vehicle to continue operating in the event of tire punctures. 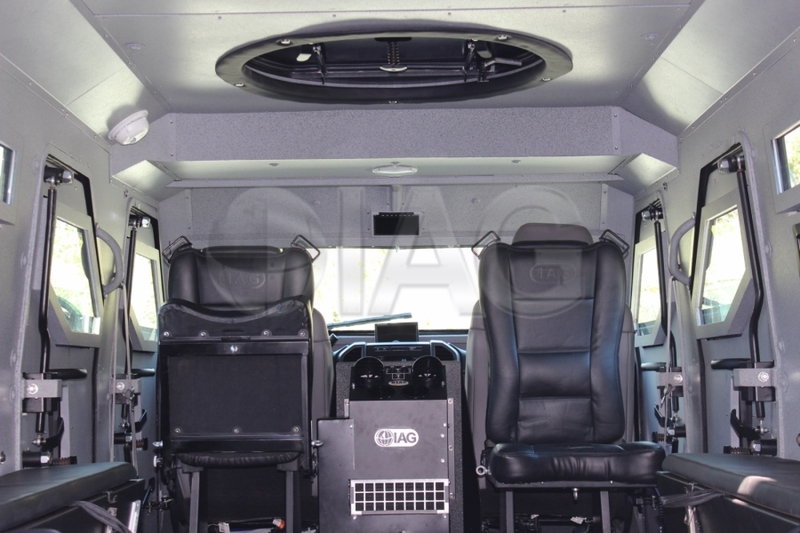 Two new seating configurations for the Sentinel ARV include large rear benches designed to accommodate 8 passengers with storage underneath for breaching tools and other equipment. For the middle row seats we offer two options, the first being forward facing fixed bucket seats and the second option being rear facing folding jump seats. 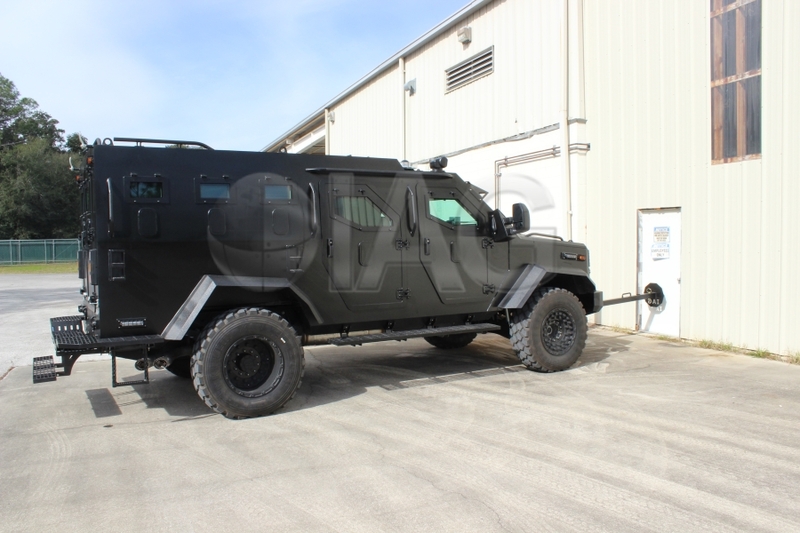 The vehicle can be outfitted with a large variety of equipment such as hydraulic ram, gas insertion equipment, 360 degree surveillance system, thermal and night vision capability, LRAD, ATF approved storage and much more. 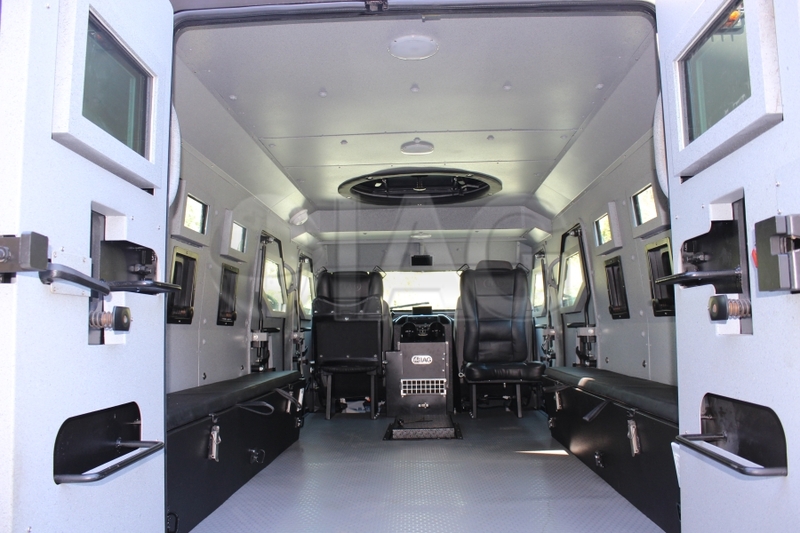 The interior layout can be completely customized to suit the specific mission requirements and application and allows for loading of a standard medical stretcher in emergency rescue situations. The dual rear doors are designed to lock into place at both 45° and 90° while built-in steps provide access to the no-slip roof. 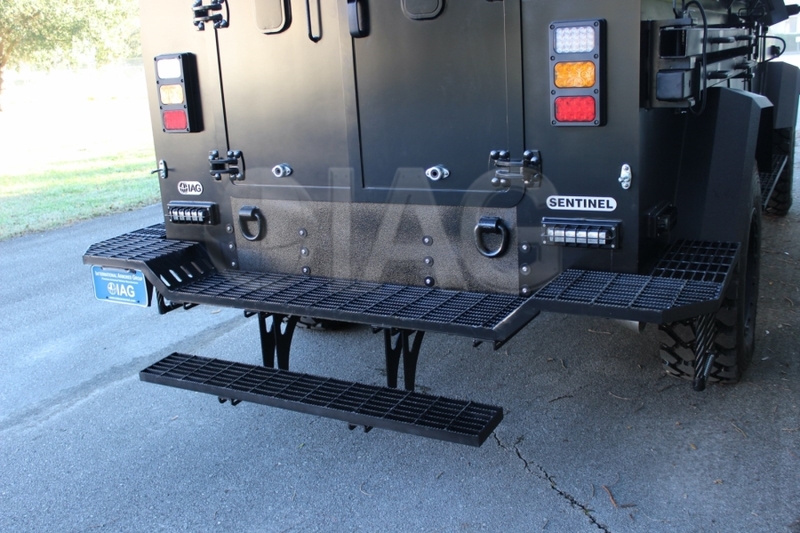 The oversized rear step and platform insure ease of entry and exit while also providing plenty of space for operators to utilize the outside of the vehicle for rapid deployment. 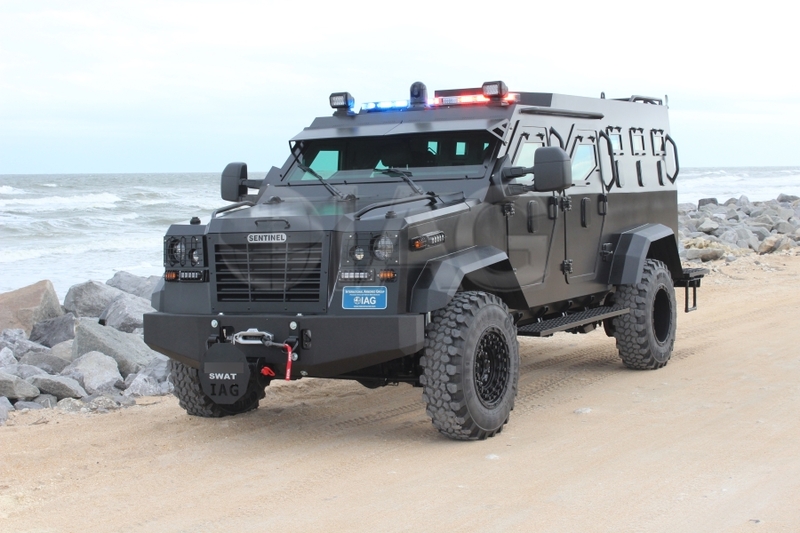 Please be advised that the IAG Sentinel Armored Rescue Vehicle is available to Government, Military and Law Enforcement only.